A report identifying potential options for cutting a further £4.2 million from the council’s budget this year will be considered at a special meeting of the council’s cabinet tomorrow afternoon (January 23). Last week the full council voted to defer making a decision on adopting a localised council tax scheme to a special meeting on January 29. This could leave the authority facing a potential £4.2M shortfall on top of the £30.3M savings already identified for this year. 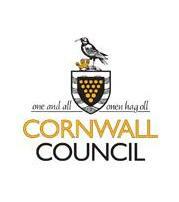 Further savings could also be required if members decide not to increase council tax for the third year in succession. The report contains a number of possible areas where savings could be achieved over the next two years, including a number of frontline services which have previously been protected from the impact of Government cuts as a result of the Council’s budget strategy. Highlighting some of the areas under consideration, chief executive Kevin Lavery stressed that these were only options at this stage. He said: “The Cabinet has put forward a budget which balances our books and avoids serious cuts in frontline services. However, this relies on a 1.97% increase in council tax and members supporting the preferred recommendation for the new localised council tax support scheme. Withdrawing funding for the localism service, which provides support to local Members, town and parish councils and local communities. Recommendations on options for the localised council tax scheme from tomorrow’s meeting of the cabinet will be reported to the meeting of the full Council on January 29 when a final decision will be made.